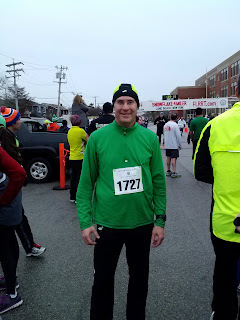 This morning I ran the Long Beach Snowflake 4 mile race for the third consecutive year. After the devastating effects of hurricane Sandy, I was sure the race would be postponed this year. But the spirit of the city was evident today and the race went on. The course was different than prior years, but the experience felt similar. 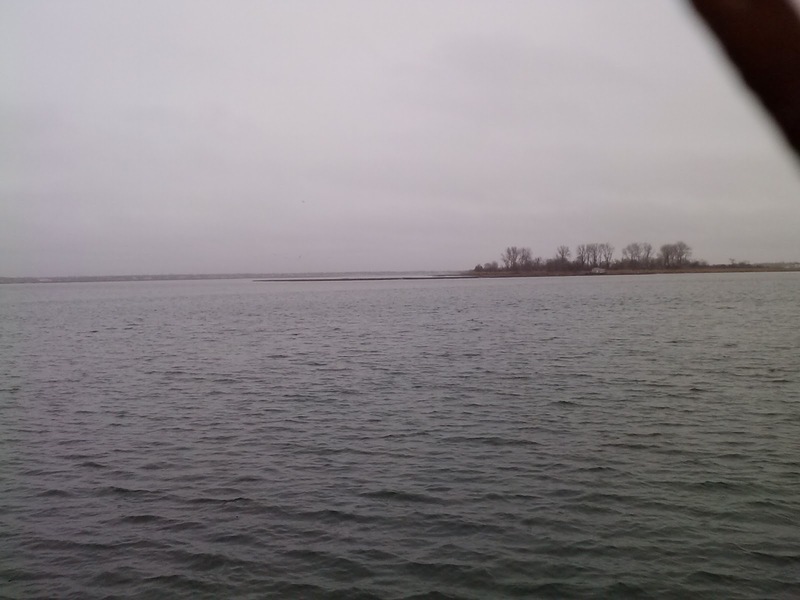 Weather conditions were far from ideal, but it could have been much worse. The race was staged at the Lindell Elementary School, nine blocks north of last year's location. I arrived at 7:45 AM, hoping to beat the crowd in case parking was an issue. The school actually had plenty of parking and I found a spot close to the building. There were 129 less participants this year than last year and I was especially glad that I'd signed up. Although I live 30 minutes from Long Beach, I felt an obligation to participate and support this city that has been through so much. After picking up my race bib and shirt, I took in the sights and sounds of the growing crowd as we moved closer to start time. Every race is different, but the pre-race energy always feels the same. 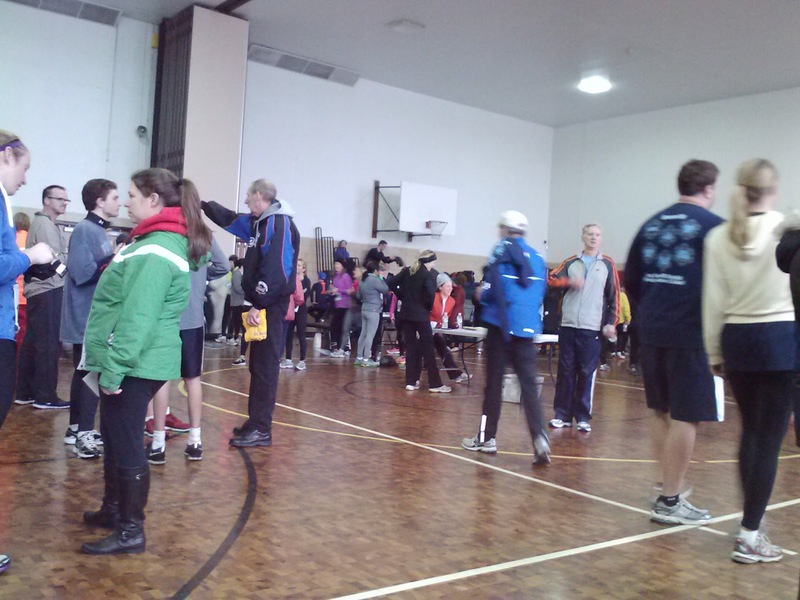 The school gym kept everyone warm and comfortable until a member of the race crew ushered us to the line ten minutes before the start. I was glad that it was almost race time, but the cold winds made me wish I was back in the gym. The crowd assembled behind the starting line as the race director organized people so that the faster pacers could start at the front. I stood a few rows behind them, because I like to be swept along by the speediest runners for the first mile. After some inspiring statements about Long Beach's recovery from the storm, and a quick review of the new course, we counted down to the start. 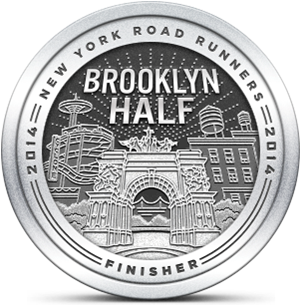 The course went directly south for half a mile, turning east on Broadway for the next 1.5 miles before the turnaround. I didn't realize that Broadway was so close to the old boardwalk. I'd expected to turn left after passing a couple of blocks, not ten. I was being passed left and right, despite my attempts to keep up with the faster crowd. I felt some relief to make the turn at Broadway, but I knew I still had three and a half miles to go. There's a point in every race when I feel that I failed to train properly for that event. It usually comes after the first couple of miles, when I begin to question my ability to sustain my race pace. Today was no different. I came through the first mile in 8:06. A good pace, but it was almost 15 seconds off last year's mile one split time. I hoped to stay below 9:00 for the remaining splits and I managed to do that, although mile three recorded at 8:59 on my Garmin. It's always a fast crowd in Long Beach and getting passed can be disheartening. It wasn't until I made the turn at mile two, heading west, that I saw the large number of people behind me, still running east. Instead of feeling happy, I worried that they would all eventually overtake me. This race felt hard, probably because I haven't gone all out in race mode for months. 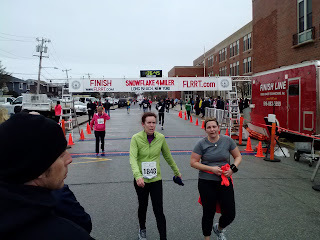 Still, I felt that I could handle the pace I was running, and I ended up finishing in the top 35%. I settled into my stride at three miles, coming through a few seconds under 26 minutes. It seemed to take forever to reach Lindell where we took a right, heading north for for the last half mile. By 9:30 AM, cars were trying to cross the course at some intersections. Traffic control did their best, but I actually saw a couple of cars impatiently cutting through with runners still crossing the box. I had no incidents, but a couple of cars made me nervous. I finally saw the finish chute when I had a block and a half to go. I tried to muster more speed, but I was at my physical limit. It would have been nice to cross the line earlier, but I left nothing on the course today and ran the best pace I could maintain. I was very happy to cross over the line. I felt all four hard miles at that point, yet I also felt strong. After the race, I watched some runners come in before downing a Gatorade and taking a few pictures. I was disappointed that my friend Steve, who ran this race with me the last two years, couldn't participate today. I'll tell him what he missed. For me, it was a validation of my fitness and a pretty good effort. I may not have loved every minute of the run, but I sure loved the feeling when I finished. I smiled when it was over too! Great job for you first race in a long while! Oh, and I was right behind you when those cars kept coming. I don't think you skipped a beat. The traffic handler kinda jumped out in front of that van that wanted to sneak by..scary moment. As you know, drivers are at the bottom of my list in terms of trust. Did you know that was me in front of you? If so, please say hi next time! Small world. I was running beside you in the ho ho ho bethpage run as I was one of the people who got yelled at by that piece of trash who tried to back out of her driveway. Nice report! It was a tough race day for me, as well. Congrats! Were you happy with your run? Congrats on your first Snowflake. It may have been tough but I'll bet you'll be back next year! I didn't realize it was you until you posted on Dailymile that you finished right behind me. I remember following the guy in the green shirt, and then passing him right before the finish. I put 2 and 2 together. Anonymous... it is a small world! That was unbelievable, wasn't it? What was she thinking? Thank you for sharing this. I've always appreciated your writing style. It does make a reader feel as if they are right there with you sharing the experience. I'll check in with you soon as Bailey & I try to get back into the groove. Hurricane Sandy & tax season did a number on us. See you soon. Thanks Brian. I'm glad you liked the post. Hope you and Bailey weather the storm : ) and tax season. Looking forward to an early spring run.